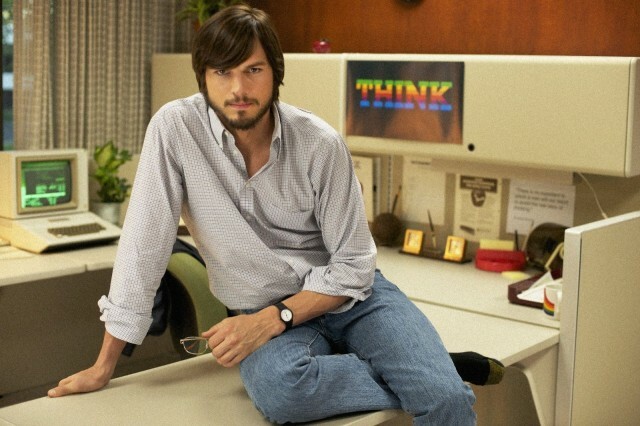 After playing Steve Jobs in the upcoming bio-pic, Jobs, what’s next for Ashton Kutcher? Betraying the very spirit of the icon he just portrayed by shilling Windows PCs, of course. I’ve never seen anything like it. 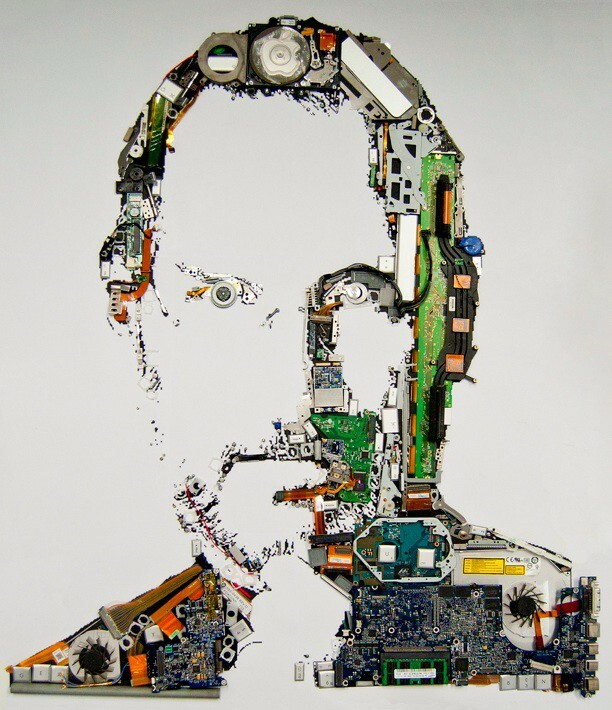 This amazing tribute to Steve Jobs was assembled from the parts of a MacBook Pro. It’s truly an astonishing piece of work from the designers at Mint Digital. Unfortunately, there’s no explanation of how it was done. I’ve sent an email asking how they did it. Here’s a large version. 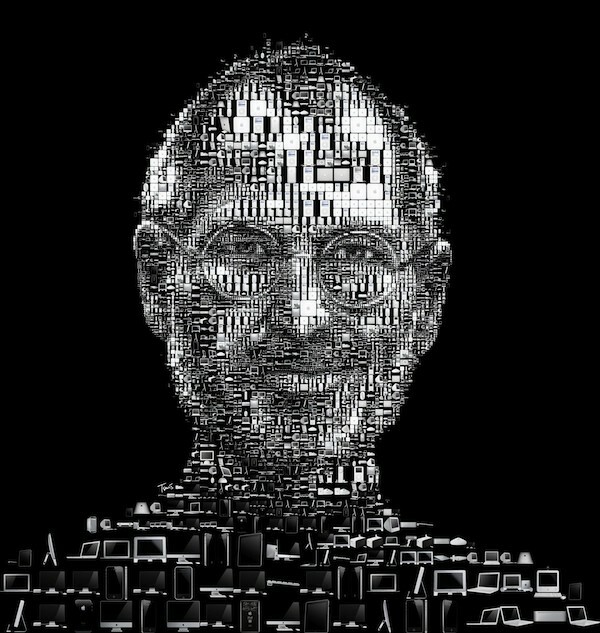 Designer Charis Tsevis built this photo mosaic of Steve Jobs for the Italian magazine Panorama. Look carefully: it’s all Apple products. Can you spot the original iSight camera? Check the detail of the eye below.